The PBE has been updated! Today's update features a new "Player Builds" section on match history, the returned of featured spectate matches to the updated landing page, and more! Here's MattEnith with more information on the new "Player Builds" section of Match History that is up for testing on the PBE. We're still at the phase of getting all the data on the page, so somethings won't look very pretty (especially the tab/switcher system), but it's far enough along that we'd love to get your feedback. Check out any game on your PBE match history (link). Here is a sample game we randomly pulled." 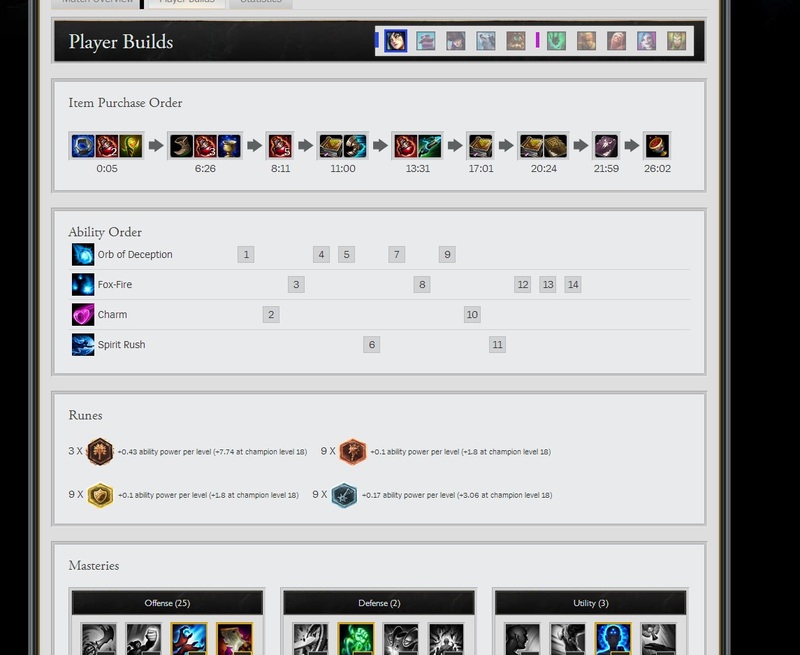 Here's an example of the new features, click the picture to go to the actual sample game's match history entry. 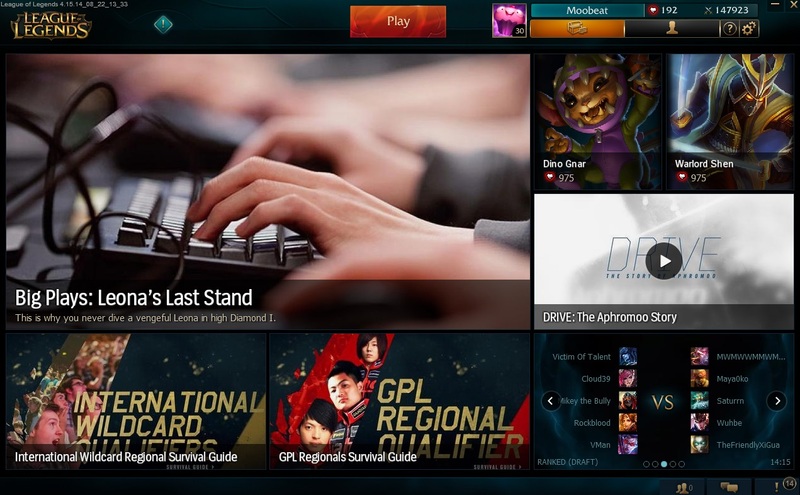 The updated landing page now has a spot spot that scrolls though higher MMR games to spectate, something that is currently available on live but was not originally included in the upcoming refresh. The are now nestled in the bottom right of the new landing page, which is set to hit live in the next patch. Some of the SR Updates ( certainly not all ) have been readded. Things like Shopkeeper, Jungle camps, Baron, etc all seem to be back on the PBE but the map is still not available for play. 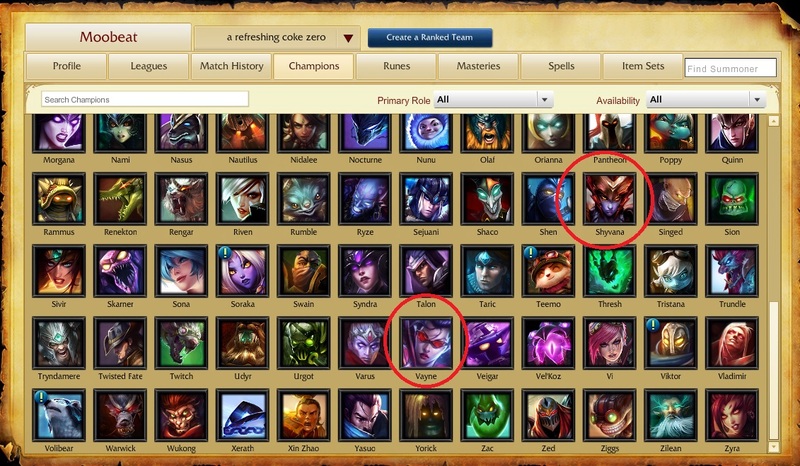 While Shyvana and Vayne received new splash art in yesterday's patch, the AIR client was updated today to have the updated icons.